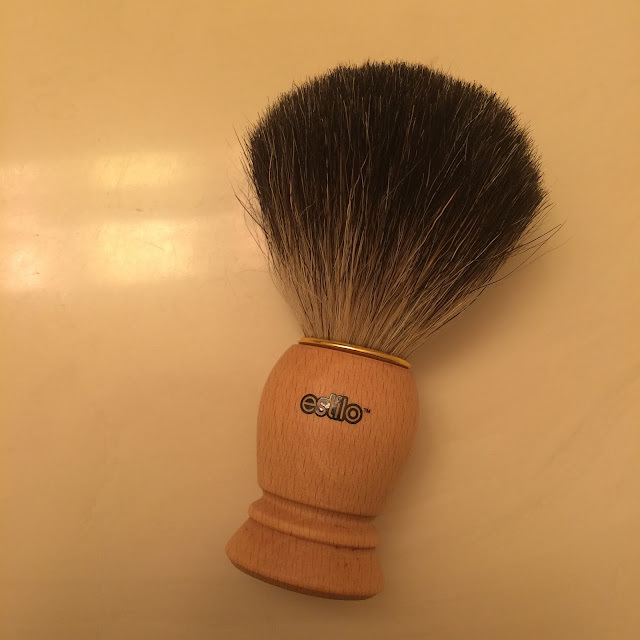 I recently tried the Estilo 100% Pure Badger Hair Shaving Brush with Beech Wooden Handle - or, I should say my hubby tried it (lol). This brush is supposed to create a rich later, and the density of the bristles is supposed to give a give a thick and even distribution of lather. The badger hair is supposed to gently exfoliate the face and raise the hairs of the beard for easier and closer shaving. My husband found the bristles of this brush to be longer than other shaving brushes he already owns, and that made it much easier to lather his soap, distribute the lather, and work onto his skin. This has quickly become his favorite shaving brush.